An equipment bill of sale is used when a transfer of ownership of any type of equipment takes place between two parties. The bill contains name, signature, contact details, and other relevant information pertaining to the buying and selling parties.Also listed are the details of the equipment for sale. 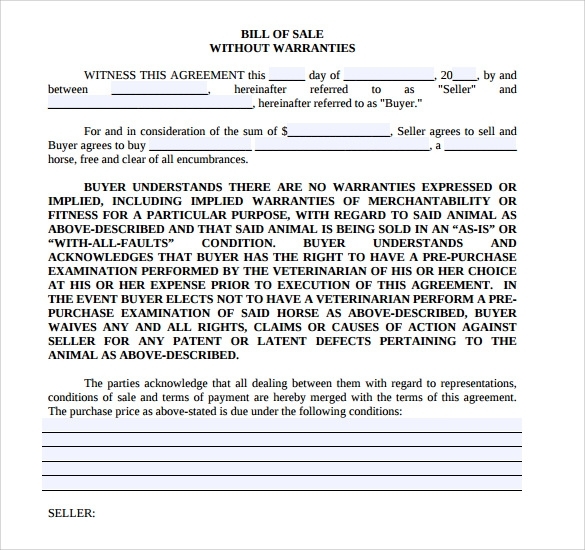 Once the bill is signed, the transfer of ownership comes into effect and both the buyer and the seller should keep a copy of this bill as record of the transaction. 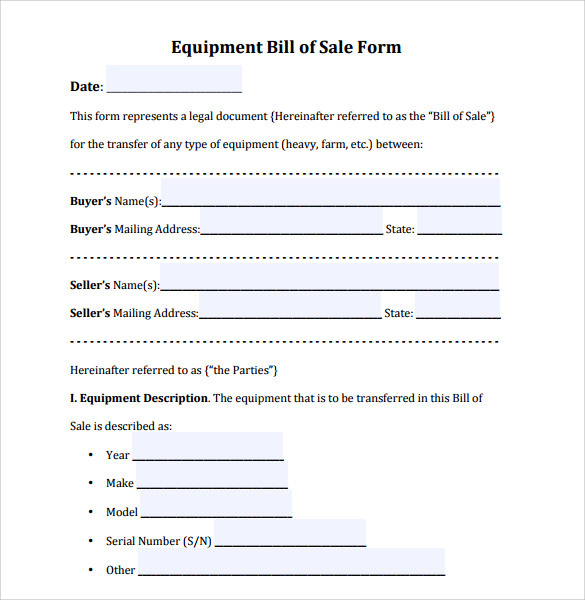 If you are buying or selling an equipment, we have a range of downloadable equipment bill of sale templates below that you can access and use with just a few clicks of the mouse (available in PDF, Doc, and other commonly used formats). 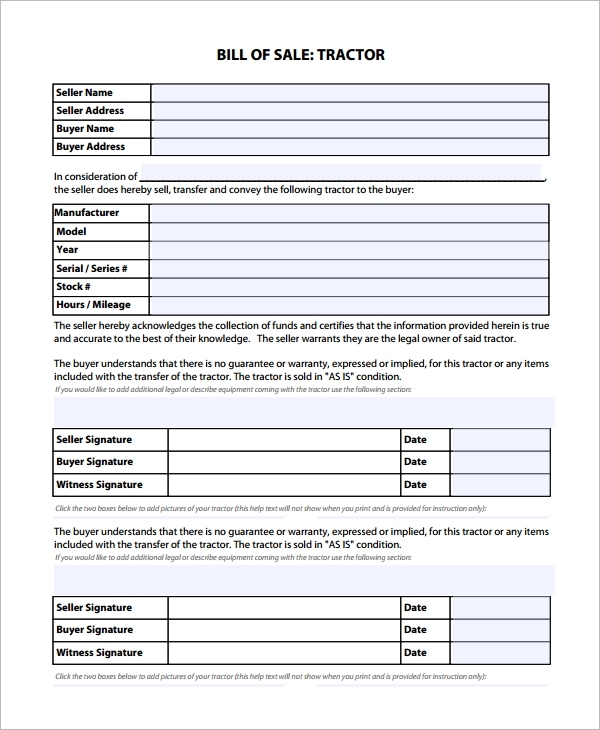 You may like Motorcycle Bill of Sale Templates. 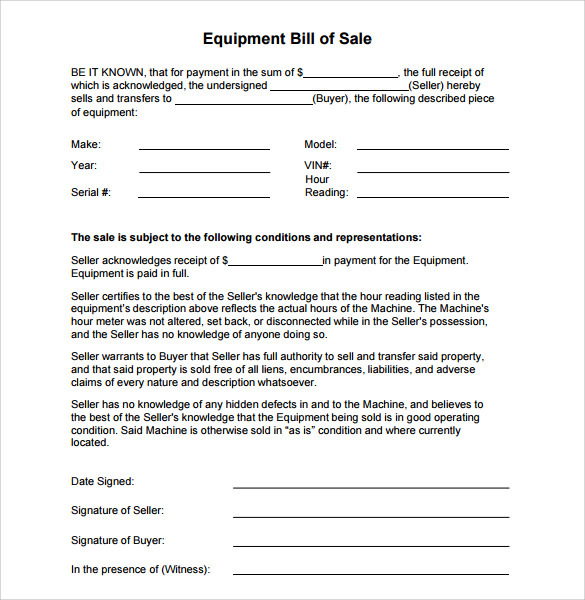 This Heavy Equipment Bill of Sale Template offers a general format and can be used for any kind of heavy equipment. The highlight of this template is its simple yet attractive appearance. Even the content has been laid out systematically. This Farm Tractor Bill of Sale Template is like a boon for any farmer who is time-pressed or unable to create a bill of sale from the scratch. This template is meant for transactions involving farm tractors- small or large. There is no dearth of bill of sale templates over the internet. However, there aren’t many that are simple in its truest terms. This Simple Bill of Sale Template is not only minimalistic in its design but also uncomplicated in its content. If you have a boat for urgent sale, you must keep a boat bill of sale ready at hand so that any to-be transaction can be documented properly. 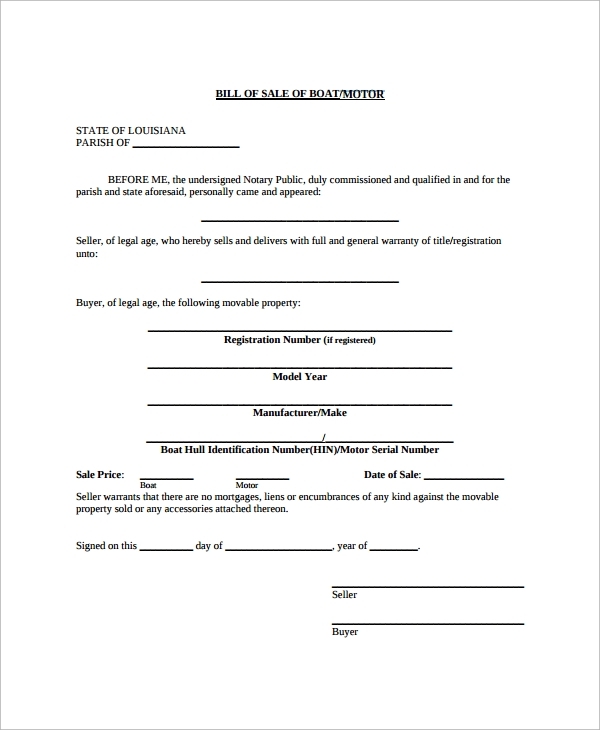 You can try this Boat Bill of Sale Template for great results. 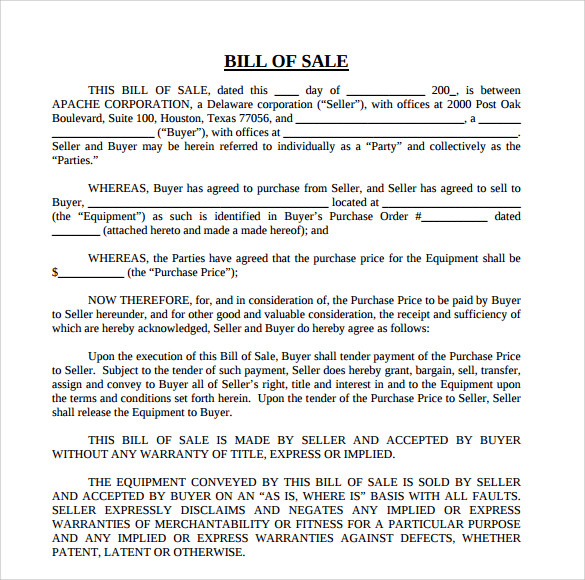 What is an Equipment Bill of Sale? 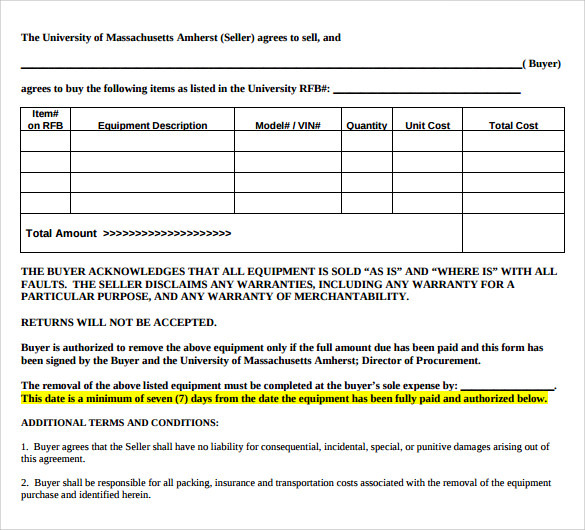 Whenever there is a transaction of some equipment, an equipment bill of sale is involved. This document effectively records the validity of such a transaction. An equipment bill of sale is involved especially when purchase or sale of some heavy equipment like farm equipment is undertaken. 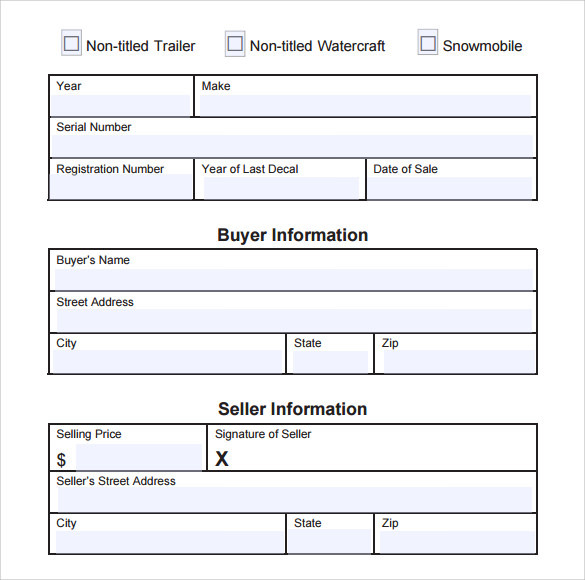 You can also see Boat Bill of Sale Templates. Like any other transaction, buying or selling of heavy equipment must have a proof of transaction. This is possible only with an equipment bill of sale. This document stands as evidence that such a transaction has taken place. So, neither party can deny having been involved in the transaction. You can also see Auto Bill of Sale Templates. Templates give you an idea about how a bill of sale appears. So, if you are looking to create your own design, you can use one as a source of reference. It also saves a lot of your time and efforts when used directly. 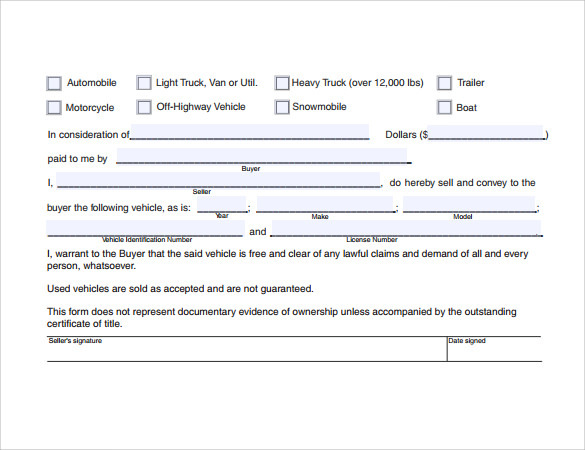 You may also like Car Bill of Sale Templates. You can find these amazing templates easily over the internet. There is a plethora of them online, so, be careful about the source from which you download them. Also, because you find no flaw in the print quality, you can get them without doubts and apprehensions. All in all, they are a must-have.